Doomsday, apocalyptic, and dystopian novels always seem to carry their charms as readers are always curious as to what the world would be like if it were to suddenly take a turn for the worse and just end. So many stories and series have been written that it is now a matter of how original an author can make their story without sounding like every other story within its genre. The talented Tosca Lee has braved this venture and has succeeded in providing a story that not only intrigues fans of the particular doomsday genre, but also offers a glance into an all-too-real disease with no known cure that could, potentially, spread and harm people across the globe. Sisters Wynter and Jaclyn Roth are moved by their mother to a new community at a young age to escape a dangerous past. Their new home, New Earth, is a place where members rid themselves of materialistic possessions, cleanse themselves of the sins thrust upon them from the outside, and are saved by God from the doom that is ready to unleash its terror upon the non-believers, ridding the world of the tainted and condemned. The Roth sisters grew up in New Earth until an incident sees Wynter cast away from the community to face the world she was taught was doomed to die. As she struggles to begin a new life for herself, Wynter discovers a few ominous truths: the place she considered home for most of her life is actually a doomsday cult that brainwashes anyone who resides within it, the end times seem to be happening soon for a mysterious outbreak of dementia is quickly spreading around the world, and a chance encounter reveals that the ones who had preached about doing good in the world are not as kind-hearted as they first appeared. With evidence of understanding how to potentially restrain the disease, Wynter must now find a way to travel from Illinois to Colorado to get the evidence to a lab amidst a world that is quickly descending into madness. 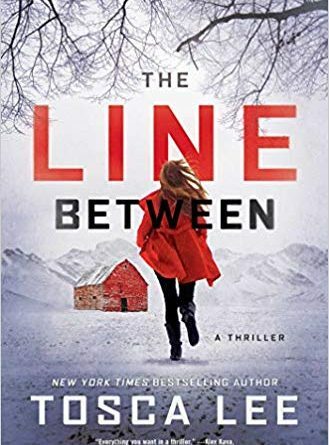 The Line Between is a story that sounds as if it has been told before: a strange disease with no known cure is spreading like wildfire across the planet, taking more lives than anticipated, and the possibility for a cure lies in the hands of a young naïve woman who must brave the unknown world to try to save it. While it may sound like a well-known concept, Lee has taken this concept and has used her talents to make a new story that will intrigue a large audience of readers. Lee is known for her talent in telling an enticing story that moves at a quick pace and most certainly keeps readers guessing throughout its plot. She is also known for her talent in taking real concepts, people, and ideas and making them into an all-too-true reality. All of this and more can most certainly be found in her latest stand-alone novel; however, while the characters most certainly carry the story, they are not the main source that makes this story memorable. What truly makes The Line Between stand out are Lee’s storytelling and the life lessons scattered throughout the story’s entirety. As aforementioned, Lee knows how to tell a fast-paced story. Readers will find themselves flying through The Line Between for numerous reasons. For one, readers will be eager to know what happens next for readers learn the past and the present of this story through Wynter’s eyes. Each chapter alternates between a past seven-year-old Wynter growing up within the community of New Earth and a present-day twenty-two-year-old Wynter learning how to live her life anew in a world she was raised to believe was evil, slowly revealing to the readers all of the events that lead up to Wynter’s current objective. Another reason is, surprisingly, the sporadic wit and humor that appears throughout the story. Small quips from an infected individual who believed weight equipment at his local gym were Decepticons on a mission to kill the human race (Lee 100) to saving the world for it would mean saving bacon (Lee 258) are rather unexpected and fun finds readers will come across while reading about a dark and dismal time for humanity. Yet one more reason would be due to Lee’s talent of creating a story centered around something that actually exists. Readers will have to discover this aspect for themselves as they read, but let us just say that the disease found in The Line Between is based on a real-life disease that has been uncovered and this is Lee’s story as to what could happen if it were to spread (Lee 351). While The Line Between is about surviving an apocalyptic occurrence in the world, Lee has added many valuable life lessons within the story that really pop out to readers as they journey along with Wynter. For starters, present-day Wynter hasn’t the slightest clue what to do with her life once she leaves New Earth (Lee 58). Growing up to live a specific way, one can most certainly understand her struggle; however, many people, if not a majority of the human race, struggles with this particular concept: who are you and what do you want to do with your life? This concept leads to another life lesson Lee shares: one may feel like they are drowning, but they won’t, for God always sends people into their lives to help them (Lee 257). Even if one does not have a belief, there is always a time or times in one’s life when another person comes along to aid them on their journey. It could be for a brief moment or it could be for years to come, but no one is ever truly alone, even when the world seems like it will end. This lesson feeds into yet another lesson: helping others. It is often referenced in apocalyptic stories that many people fend for and save themselves and this is, unfortunately, a truth; however, even amidst the chaos, there are still always a handful of people left in the world who wish to help others. A very specific line said by one of the characters truly stands out to give life to this lesson: “to live, you have to give life to others” (Lee 291). This could perhaps be the most important lesson someone ever takes away from a story, for even when life becomes dark, it is always important to be a light for those seeking it. Unlike the dying worlds found within apocalyptic dystopian stories, the undying fandom for this genre seems to only be expanding. Many stories within this genre are beginning to sound alike; however, few authors have the talent to make their novels stand out and the talented Lee is one of those authors. 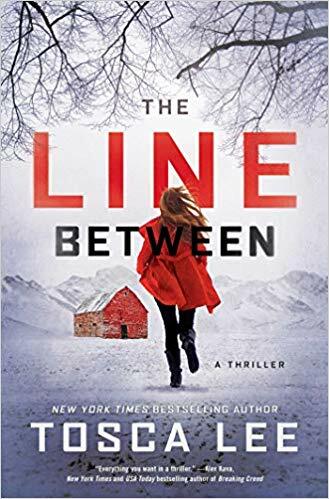 Her latest stand-alone novel The Line Between offers a new story where the human race is seemingly doomed due to a disease that actually exists in real life and a young woman’s journey in helping find a vaccine to fight back against the spread. Not only does Lee’s story offer a frightening glimpse into a real-world epidemic, but she also offers a fast-paced story with valuable life lessons that can be used at any point in any person’s life. Perhaps the only trap Lee fell into was the story’s ending. While her story moved at a satisfyingly quick pace, the end moved a bit too quickly, as many dystopian novels seem to unfortunately do; however, this does not take away from the story as a whole. Lee has succeeded once more as The Line Between offers an excellent novel of intriguing fast-paced storytelling with unexpected fun bits of humor as well as life lessons scattered throughout a chaotic world on the verge of losing its sanity.